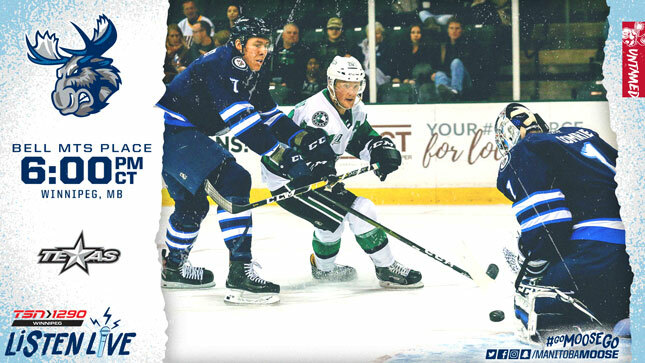 The Manitoba Moose (20-21-3-2) start off a six-game homestand tonight against the Texas Stars (23-18-3-2). The game is also the club’s Multicultural Night, featuring performances provided by Folklorama. Tickets for the 6 p.m. CT puck drop are still available at moosehockey.com/tickets/. The Moose are returning from six straight games on the road going 1-3-1-1 despite some strong play. With three of the losses in one-goal games, including two in extra time, Manitoba is dealing with the frustration of leaving points behind. Veteran JC Lipon spoke about how the team learns from those defeats. In the Stars, the Moose face a team they’ve beaten twice in three games this season. All three previous meetings were in Austin, where Texas is 16-6-1-1 overall in 2018-19, good for a 0.708 point percentage. The Stars, however, have struggled on the road this season where they are 7-12-2-1. Texas’ road woes could be an opportunity for Manitoba to continue their eight-game point streak at Bell MTS Place. Since the holiday break, the Moose are 7-0-0-1 in downtown Winnipeg. Logan Shaw has been the primary goal-scorer of that stretch. He’s found the net eight times and added three assists in the 17 games since Christmas. Shaw also leads Manitoba in points against the Stars this season with three goals and an assist over the three games. Rookie Joel L’Esperance leads Texas in goals against the Moose with three. New to the Central Division, the Stars will play the Moose five more times this season including three matchups in March. Four of those five contests will be in Winnipeg, making today’s game a tone-setter for the Moose. Lipon is aware of the advantage his club has in their home facilities. Sunday’s rematch with the Stars (Feb. 10) is the annual Polar Bear Jersey Day in support of the Assiniboine Park Zoo Polar bear Rescue Team. A specialty jersey will be worn by the team and auctioned off on the concourse during the game and online afterwards. For tickets to these, and all other home games, visit: moosehockey.com/tickets/. 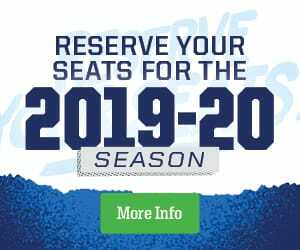 If you can’t make it to the game, head to TSN 1290, moosehockey.com/listenlive/, the Moose App, or stream it live on AHLTV.